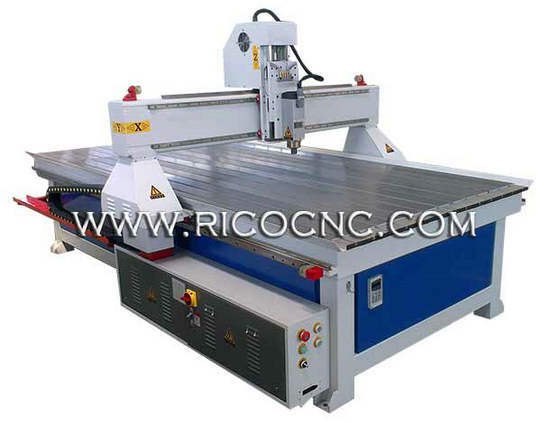 This CNC router cutting machine is a cnc router for wood working, such as particle board, melamine particle board, laminated particle board, veneer particle board, plywood, MDF board, slatwall cutting. 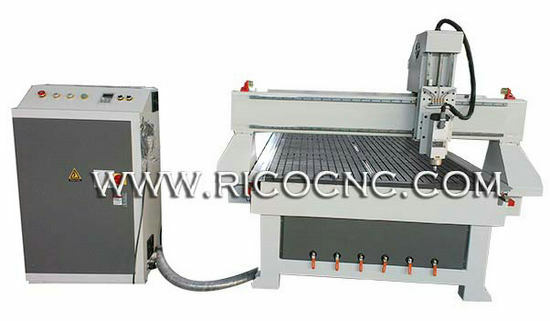 CNC Control is easy to cut the board sheet into different sizes. Suitable for high- volume processing of non- ferrous metal sheet, such as PVC board, acrylic, insulation materials, wood and composite panels such as sheet processing, cutting, slotting, engraving, milling, etc. 4. Decoration: Acrylic, PVC, MDF, particle board, plywood board, glass, plastic and soft metals such as copper and aluminum. 1. High speed, high torque, high precision 4.5KW water cooling guarantees the high working speed and accuracy. 2. 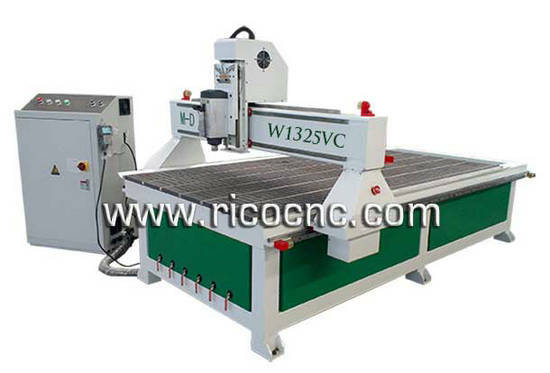 Taiwan Hiwin square rails guarantees the accuracy and strength of the machine. 3. High quality stepper motor adopts the current control system save the power consumption. 4. DSP control system, can work offline, no need computer. 5. The key component parts all adopt casting tempering finish machining technology, ensures stiffness and accuracy. 6. 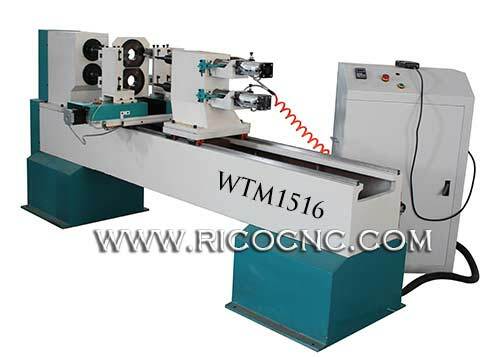 Particle board cutting machine has the break- point memory, reducing materials waste. 7. Heavy square tube wholly frame, double- screw auto eliminating clearance ball screw, floor- type liner guide transmission. 8. Well designed dust and water proof device ensure the machine easy maintenance. 9. CAD/ CAM designing software like Type 3/ ArtCAM/ Castmate/ wentai and so on.